A Speed-Monitoring Trailer is a portable device that displays a passing driver’s speed as well as the posted speed limit. The intent is to alert drivers of their speed compared to the speed limit, and thereby improve compliance. 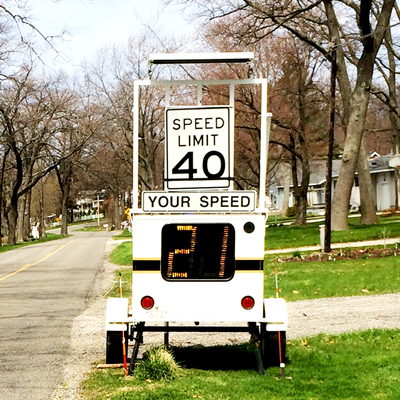 The Ottawa County Sheriff’s Office has 2 Speed-Monitoring Trailers that which is available for placement at the request of local residents. The Sheriff’s Office receives high volumes of requests, so placement will occur in the order in which requests are received. If you would like to request a Speed-Monitoring Trailer to be placed on your street, please complete the form below and click “Submit”.